M.K. Raghavendra is a film researcher, scholar and critic. He has written extensively on world cinema for Indian and international periodicals. He received the National Award for Best Film Critic in 1997, which cited his 'provocative and iconoclastic writing, which inspires debate and discussion, so rare in film criticism today'. His book Seduced by the Familiar: Narration and Meaning in Indian Popular Cinema (Oxford University Press, 2008) was acknowledged by India Today as among the best books on movies. To repeat an oft-pronounced cliche, India occupies the position of the largest producer of motion pictures in the world, having overtaken Japan and the United States to achieve this distinction. Japan and the United States have, however, contributed enormously to cinema as a medium and as an art but Indian cinema remains something of a pariah and the literature explaining its methods has been negligible, although interpretations by psychoanalysts and academics are not lacking. Interpretation and evaluation are different activities. While interpretation tends to treat cinema as a symptom of deeper processes, evaluation is concerned with cinema as cinema and with making an assessment of each film's place in cinema at large. Interpretation is largely the territory of social enquiry while evaluation is that of the cinephile. All this is not to say that the evaluation of a film (which is more than affixing a 'rating') can avoid interpreting it but the interpretation is textual rather than contextual and it is the surface meaning that it primarily examines. This book began as a more ambitious project to 'define Indian cinema' through the examination of fifty selected films, albeit ina non-academic way. The effort was, in effect, to discover the unity underlying Indian cinema's diversity and to demonstrate this unity through a selective evaluation of film classics. The intent was earnest but a more discriminating look at the body revealed the difficulties involved in finding the desired unity because the body itself is too amorphous, the categories constituting it having apparently arisen through different impetuses.' It is also difficult to identify a consistent set of criteria for the evaluation of works as different as Amar Akbar Anthony and Pather Panchali although both are landmark films. Indian cinema once acknowledged only two categories: 'popular' cinema and 'art' cinema. The popular regional cinemas, however, differ considerably from their Hindi counterpart. The regional art film may also be different from its Hindi cousin because it is less cosmopolitan and more local, and this is perhaps true of films by even the most celebrated directors. Satyajit Ray is admittedly the most important Indian film-maker but we still wonder if his films should be categorized as 'Indian' or simply as 'Bengali'. The Hindi commercial film also does not represent a single homogeneous category because there is the low-budget action film incorporating elements of magic and horror playing in the small towns of northern India that may correspond to the 'Hindi regional film'. This kind of cinema is very different from the Hindi cinema screened in upmarket city multiplexes and this factor may support the claim about its 'regional' character. If the mainstream Hindi film plays down regional divides, there is evidence that the regional film sometimes takes upon itself the task of addressing local identities within the space of the nation and often concentrates on regional difference. Since some successful regional films are remade in Hindi, there is the likelihood that regional cinema caters to a local identity while also addressing 'national' concerns, although this claim would require greater substantiation than is possible here. The cinema that goes under the nomenclature of 'art' cinema in India may have gained inspiration from the maturing of the film society movement in India and the efforts of pioneers like Satyajit Ray. The art film movement (as 'New Indian Cinema') in India was, however, actually initiated only in 1969 when the Film Finance Corporation (FFC) financed Mani Kaul's Uski Rati and Mrinal Sen's Bhuvan Shame. Under the direct influence of Prime Minister Indira Gandhi, the Information and Broadcasting Ministry determined FFC's purpose in 1971 as 'to develop the film in India into an effective instrument for the promotion of national culture, education and healthy entertainment by granting loans for modest but offbeat films of talented and promising people in the field'.' These obligations were subsequently taken over by the National Film Development Corporation (NFDC) when it was established in 1980 and Indian art cinema became dependent upon it for a while. Central financing saw an element of homogeneity creeping into the Indian art film and, if a single label must be used to characterize the films, the appropriate term would be 'social realist'. This category would still exclude some of the most idiosyncratic auteur films from India - those of G. Aravindan, Adoor Gopalakrishnan and John Abraham from Kerala, Ritwik Ghatak from West Bengal and Aribam Syam Sharma from Manipur. It would also exclude the formal experiments of film-makers like Kumar Shahani and Mani Kaul who are also more cosmopolitan in their concerns. The existence of the mainstream Hindi cinema alongside so many regional commercial cinemas (including some in dialects like Bhojpuri and Konkani) and the Hindi art film alongside so many regional art cinemas makes the task of 'defining' Indian cinema through a selection of this kind extremely strenuous. Not acknowledging this truth and simply including a larger number of examples will only lead to 'tokenism' and this cannot assist the undertaking. I can, of course, restrict my 'definition' to a smaller body like Hindi commercial cinema or Indian art cinema but that would also be tantamount to an admission that the diversity within Indian cinema defeats unification. Conceding such a defeat is premature. The best that I can do through a selection is perhaps be representative rather than idiosyncratic and that is what the present one sets out to do although only the reader can judge its actual success. The selection cannot become encyclopedic because there are restrictions on the length of a book of this kind if it must also be critical. Producing a volume that sets out to identify 'representative' works from the largest and the most amorphous body of cinema in the world is a daunting task and an introduction to the volume can only perform a limited role. The purpose of this introduction is therefore restricted to providing a general context in which to see the films rather than expanding its scope to separately justifies the actual selection of films from the different available categories. In any case, the films have all been either popular or critical successes within India and/or have been widely regarded as landmark films. Starting from the origins of Indian cinema, P.R. Tipnis's Pundalik (1912) is credited as the first Indian film although D.G. Phalke's Raja Harishchandra (1913) was perhaps the first genuine feature film. Although Phalke's films now seem to anticipate the direction taken by Indian cinema, the silent era saw films being made-by, film-makers like Baburao Painter-that were considerably more 'realistic' and perhaps more in conformity with a Western model. It was only with the arrival of sound that Indian cinema reverted to a model already existing in the theatre of its time, and what we call 'commercial' or 'popular' cinema today is an 'advanced' version of this same model. Popular cinema has undergone transformation but today's product is not distant enough from yesterday's prototype to justify doubts regarding its ancestry. Satyajit Ray is credited with having brought Indian cinema to world attention but it is not as though Ray had no precursors. Bimal Roy, who made Do Bigha Zameen (1953) two years before Pather Panchali, acknowledged that he was influenced by the Italian neo-realists. Still, the narratives of these early excursions into 'realism' do not essentially break away from the traditional narrative of Indian cinema. Ray candidly denied the influence of any Indian director before him; his departure from the norm in Indian cinema was radical and the form he employed owed much more to art cinema from Europe. The converse of this statement is, however, also true and this is that Ray's influence on Indian film narrative-outside of the careers of a small group of film-makers whose work partly constitutes Indian art cinema- was minimal. Sometime after the advent of Satyajit Ray, Indian cinema became distinctly Janus-faced with one florid face representing popular cinema and the other, a rather gaunt one, representing Indian art cinema. 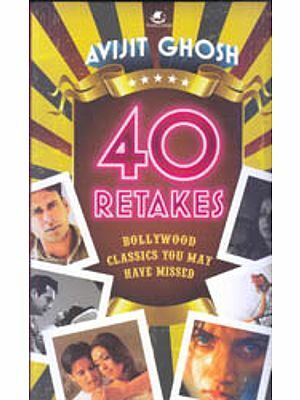 The fifty films selected in the book are drawn from both categories, from Hindi cinema as well as from popular cinema in the other languages. The best way to begin my scrutiny of this 'composite' phenomenon is perhaps with the form taken by its more dominant component; justifying popular cinema is impossible without understanding its codes. The minority or art component, on the other hand, is already accepted on international film platforms and individual films are more readily evaluated perhaps by Aristotelian norms. While I will not engage in the comprehensive criticism of any here, the validity of aspects always needs discussion and a brief examination of the dominant tendencies in the two cinemas will therefore be useful. Before we do this, however, we need to understand the norms generally accepted in the West as applicable to filmic storytelling, the norms or rules that Indian popular cinema visibly flouts. While this has the disadvantage of placing Indian cinema in the place of 'the other', it can also be likened to locating a space in relation to a dominant landmark and, in cinema, there is no landmark more dominant than Hollywood.